Drawing international attention to the inhumane and environmentally catastrophic shark finning industry, Randall Arauz led the campaign to halt the practice in Costa Rica, making his country an international model for shark protection. The eastern Pacific Ocean has historically been home to significant populations of sharks, with more than 18 different species identified in Costa Rica’s waters alone. However, many species of sharks are now critically endangered. Over the last 50 years, global shark populations have declined by 90 percent as a result of overfishing, which has been exacerbated during the last decades by the growing demand for shark fins, specifically to be used as the key ingredient in shark fin soup. In China and in Chinese restaurants around the world, shark fin soup is a delicacy that was once considered a luxury consumed only on special occasions. As China’s economy booms and the growing middle class increases demand for the soup, shark finning has decimated the once-thriving stocks. As many as 100 million sharks are slaughtered annually to feed global demand. This unprecedented change in shark populations significantly threatens the sensitive balance required for healthy marine ecosystems, thus endangering the fisheries and economic livelihoods of fishing communities around the world. The practice of shark finning has been widely criticized as wasteful by conservationists and brutal by animal rights activists. International fishing fleets targeting sharks specifically for their fins tow miles of hook-covered lines, catching thousands of sharks and other marine life in what is known as long-line fishing. The sharks are then hoisted aboard, where workers slice the fins from live animals before tossing the fin-less bodies back into the ocean to die. Because shark fins command $70 per kilo while shark meat yields only about 50 cents per kilo, it has not made economic sense for ships to fill valuable hold space with a commodity worth so little. A single expedition can yield millions of dollars in profits when only fins are kept and shipped to market. The potential for huge short-term profits has led many governments throughout the world to relax existing fisheries laws or simply turn a blind eye to shark finning. In 2004, Costa Rica was the world’s third largest exporter of shark products, including 8,000 tons of fins. Vessels from Taiwan, China, Indonesia and elsewhere travel to shark-rich waters, pay duties to local governments to land on their docks, and then bring their catches to market in Hong Kong, where the majority of the trade in shark fins takes place. Randall Arauz, a conservationist who founded the Association for the Restoration of Sea Turtles (PRETOMA) in 1997, emerged as one of the world’s leading voices working to ban shark finning. As a turtle biologist and conservationist, he worked with the shrimp industry in Costa Rica to reduce the sea turtle casualties associated with trawling. After some success in introducing new trawling technology to the industry, he learned that long-line fishing boats were also to blame for sea turtle deaths. When Arauz’s friend got a job as a cook on a long-line shark fishing boat, Arauz sent along a video camera so that he could learn more about exactly how the fishing technique worked. The footage he received completely shocked him. He had not previously been aware of shark finning, and seeing the brutal practice in full color sparked his subsequent commitment to stop shark finning in Costa Rica. In 2003, Arauz exposed a Taiwanese ship illegally landing 30 tons of shark fins, amounting to the deaths of 30,000 sharks, late at night at a private dock in Puntarenas, using a secretly filmed videotape. He released the footage to the media, and the resulting shock and outrage from the Costa Rican public and international community galvanized support for Arauz’s ensuing campaign to enforce the country’s existing laws against shark finning. He mobilized the support of 80,000 citizens and 35 deputies of the Legislative Assembly to sign a petition calling on Costa Rica’s president to halt the practice and close private docks to the landing of international ships, as dictated by existing customs legislation. The petition and media attention garnered by the public outcry led to a decision by the customs department in November 2004 to halt all landings of fishery products by international vessels on privately-owned docks until they complied with the law. Unfortunately, the closure lasted only a few weeks. Following this interim move, a national fisheries law went into effect in February 2005 that specifically prohibited shark finning and mandates all sharks to be landed with their fins attached. The new law also called for fines and jail terms for those caught landing shark fins at Costa Rican ports. However, the industry soon identified loopholes in the legislation that enabled them to continue shark finning. The law still allowed for the landing of whole sharks with their fins “attached,” so fleets began tying large fins to tiny sharks to get around the finning ban. In August 2006, Arauz succeeded in closing this loophole. Arauz also filed suit against the Fisheries Institute and the Customs and Public Transportation Ministries at the Constitutional Court, Costa Rica’s highest court, for failing to abide by current customs law. In 2006, the court ruled in PRETOMA’s favor. Throughout his campaign in Costa Rica, Arauz worked closely with the Ministry of Foreign Affairs and the Congress to urge the UN to ban shark finning and to stop all long-line fishing in the eastern Pacific’s international waters. He viewed a complete ban as a clear deterrent for shark finning vessels and as a means for reducing the negative impact on the other marine life unintentionally caught by the lines. In 2007, the UN General Assembly approved language calling on nations to mandate that all shark fins be landed attached to the body of the shark, marking a major shift in policy and a huge victory for Arauz and other activists working to protect sharks globally. Since the UN recommendation was issued, Arauz represented Costa Rica at several UN meetings and has called for a complete ban on shark finning. In 2007, he participated in a UN Convention of Migratory Species meeting as an official Costa Rican delegate and was instrumental in the election of Costa Rica as a member of a five-country commission tasked with drafting language for international cooperation for the protection of sharks. Arauz is now works as International Director of Turtle Island Restoration Network. Enfocando la atención del mundo sobre la inhumana y ecológicamente desastrosa industria de aleteo de tiburones, Randall Arauz encabezó la campaña que puso fin a esta práctica en Costa Rica, haciendo de este país un ejemplo internacional para la protección del tiburón. cambio sin precedentes en las poblaciones de tiburones representa una amenaza grave contra el frágil equilibrio que un sano ecosistema marino requiere, poniendo en peligro a la industria pesquera y con ello el sostén económico de comunidades pesqueras en todo el mundo. vivos, los trabajadores les cortan las aletas para luego botarlos de vuelta al mar donde mueren. Las aletas de tiburón pueden venderse a $70 el kilo, mientras que por la carne de tiburón a lo sumo obtendrían alrededor de $.50 el kilo, razón por la cual desde el punto de vista económico no tiene sentido ocupar su valioso espacio de carga con los cuerpos de estos animales. Al quedarse únicamente con las aletas para llevarlas al mercado, una sola expedición pesquera podría rendir millones de dólares en ganancias. destinan a Hong Kong, principal mercado para las aletas de tiburón. Arauz consiguió empleo como cocinero en uno de estos barcos dedicados a la pesca de tiburones, Arauz le envió una cámara de video con el fin de averiguar más sobre esta técnica de pesca. Cuando recibió el video, lo que vio lo dejó completamente horrorizado. Hasta ese momento no sabía de la existencia del aleteo de tiburones, pero al ver a todo color esta brutal práctica, no pudo menos que asumir el compromiso de poner fin a esta práctica en Costa Rica. Legislativa quienes firmaron un llamado al presidente de Costa Rica pidiéndole poner fin a dicha práctica e impedir el uso de muelles privados para el desembarque de barcos extranjeros, de conformidad con lo dispuesto en la legislación vigente de aduanas. La petición y la atención que los medios prestaron al clamor del público llevó a la dirección de aduanas a prohibir en noviembre de 2004 todo desembarque en muelles privados de productos pesqueros por barcos internacionales mientras no estén en cumplimiento de la ley. Desafortunadamente la prohibición duró solo unas cuantas semanas. Luego de esta medida interina, en febrero de 2005 entró en vigencia una nueva ley nacional de pesca que específicamente prohíbe el aleteo de tiburones y requiere que todo tiburón desembarcado tenga las aletas adheridas al cuerpo. La nueva legislación también pidió multas y cárcel para quienes sean capturados desembarcando aletas de tiburón en puertos costarricenses. No obstante, la industria pesquera no tardó en encontrarle huecos a la ley, huecos que aprovecharon para seguir aleteando tiburones. Como la ley permitía el desembarque de tiburones enteros con las aletas “adheridas”, las flotas pesqueras comenzaron a amarrar aletas de gran tamaño a los cuerpos de tiburones pequeños, eludiendo de esa forma la prohibición contra el aleteo. En agosto de 2006, Arauz logró tapar tales huecos. Arauz también presentó en la Sala Constitucional de la Corte Suprema de Justicia, máximo órgano judicial de Costa Rica, un recurso de amparo contra el Instituto Costarricense de Pesca y Acuacultura, la Dirección General de Aduanas y el Ministerio de Obras Públicas y Transporte, por incumplimiento con la ley vigente de aduanas. En 2006, el tribunal dictó a favor de PRETOMA. de la ONU adoptó lenguaje que pide a los estados hacer obligatorio que toda aleta de tiburón que se desembarque vaya adherida al cuerpo del tiburón, marcando un importante cambio de política y una gran victoria para Arauz y otros activistas que trabajan por la protección del tiburón en todo el mundo. Desde que la ONU emitió dicha recomendación, Arauz ha representado a Costa Rica en varias reuniones de ese organismo abogando a favor de la prohibición total del aleteo de tiburones. En 2007 participó como delegado oficial de Costa Rica en una reunión de la Convención de la ONU sobre Especies Migratorias, donde jugó un papel decisivo en la elección de su país a una comisión de cinco países encargada de redactar el borrador de un documento de cooperación internacional para la protección del tiburón. Follow Arauz and Pretoma on Twitter. Sign their petition urging Costa Rica’s President to protect endangered sea turtles and sharks. Randall Arauz, receiving his award at the 2010 Goldman Prize ceremony. 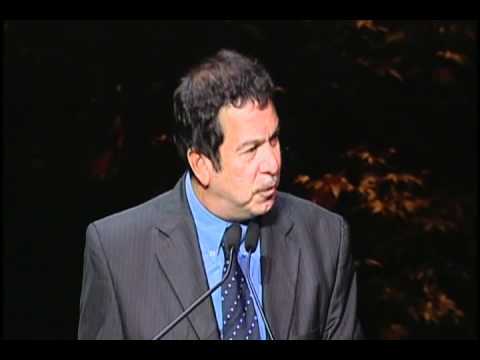 Randall Arauz, accepting his award at the 2010 Goldman Prize ceremony. 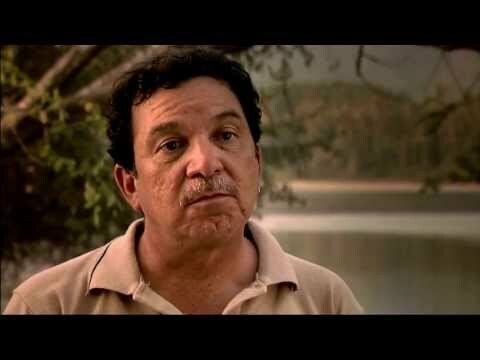 Randall Arauz, 2010 Goldman Prize winner for Costa Rica.